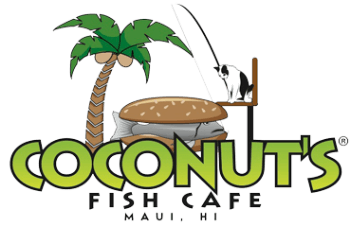 Coconut's Fish Cafe is a family-friendly restaurant that serves excellent food with aloha. Our goal isn't simply customer satisfaction; we want you to feel welcome in our Coconut's ohana (family). 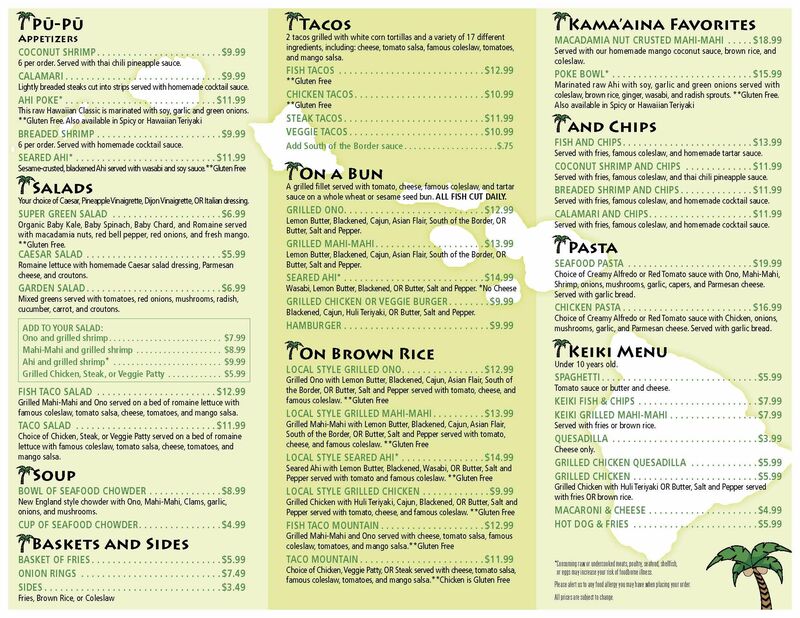 Come and enjoy some of our award-winning, health-conscious food and join our Coconut's ohana today. Zagat rated our food a 27 – in their exclusive category reserved for "Extraordinary to Perfection". Try our Famous Fish Tacos, with Mahi-Mahi, Ono and a variety of 17 unique ingredients that are perfectly balanced and best enjoyed with your hands. Or try the Founder's favorite, Ono On a Bun, grilled to perfection and served just right. Whatever you decide, you can feel good knowing you're enjoying health-conscious foods that tastes great.